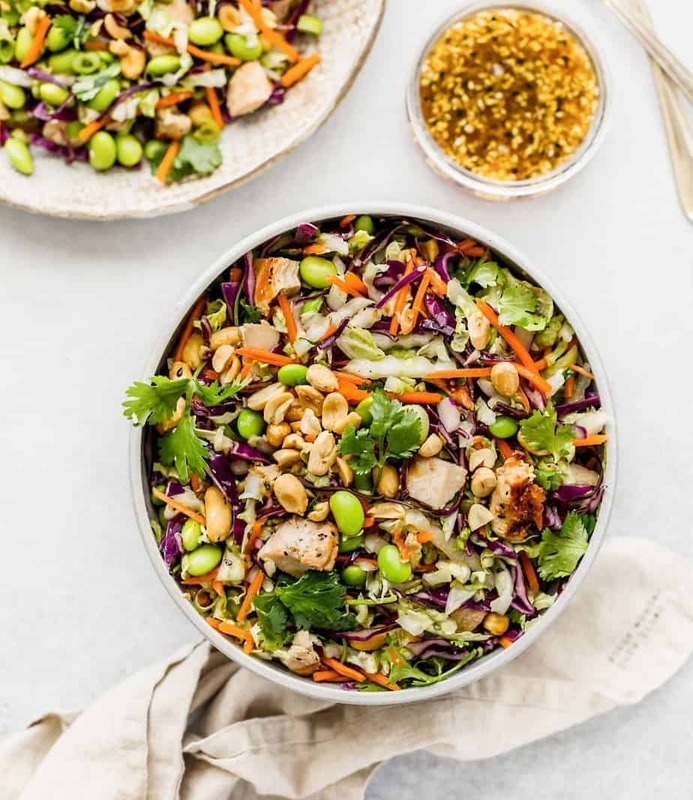 Fresh Asian Chopped Salad kit with grilled chicken, served with homemade sesame ginger dressing recipe. 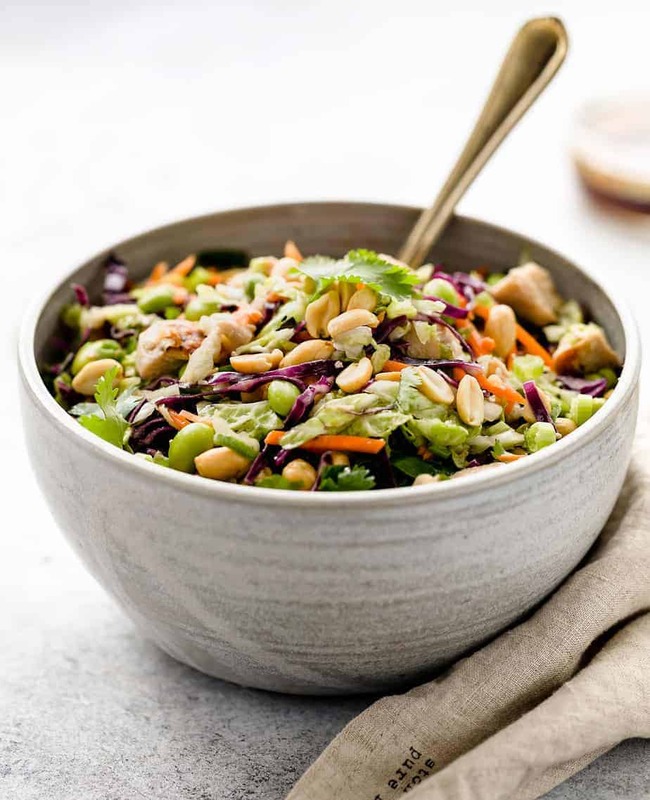 This chopped salad contains Napa Cabbage, Red Cabbage, Carrots, Cilantro, and Peanuts. If you are looking for healthy lunch ideas, try one of my favorite healthy salad recipes. 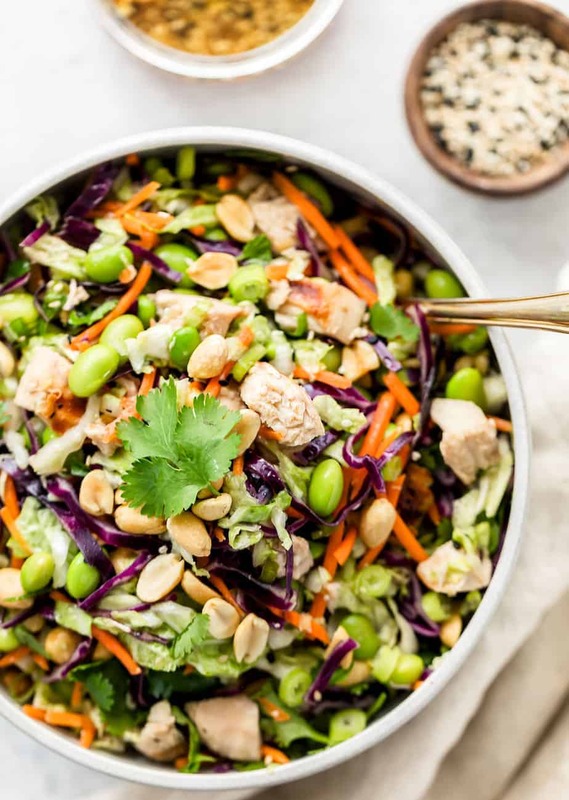 This Fresh Asian Chopped Salad is very high in anti-oxidants and is a healthy lunch that will keep you full with its high amount of fiber. I served this salad with my favorite sesame ginger dressing. It’s a very light dressing recipe, super easy to make and so refreshing. 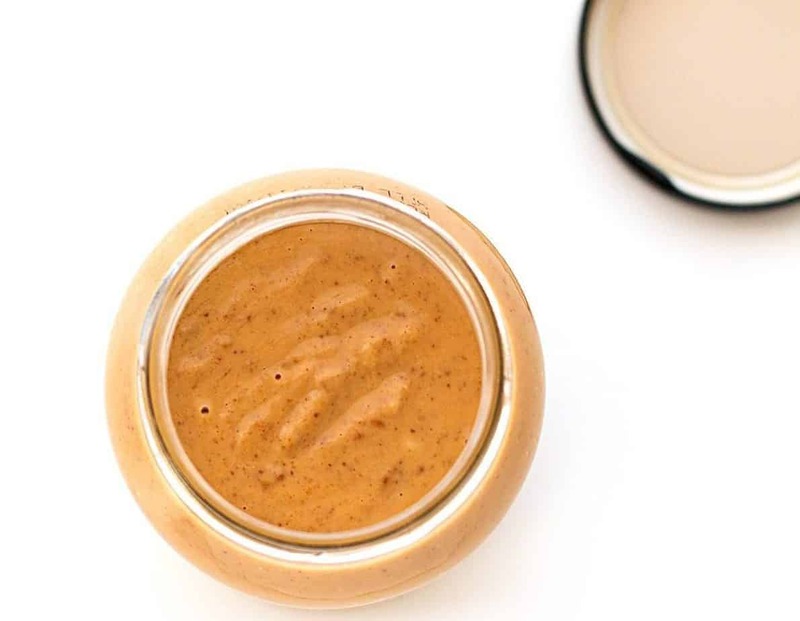 Unlike store-bought sesame ginger dressing, this homemade salad dressing recipe allows you to customize your own ingredients. Regulate the amount of sugar (or agave syrup) to your liking, as well as the level of soy sauce, and/or sesame oil. 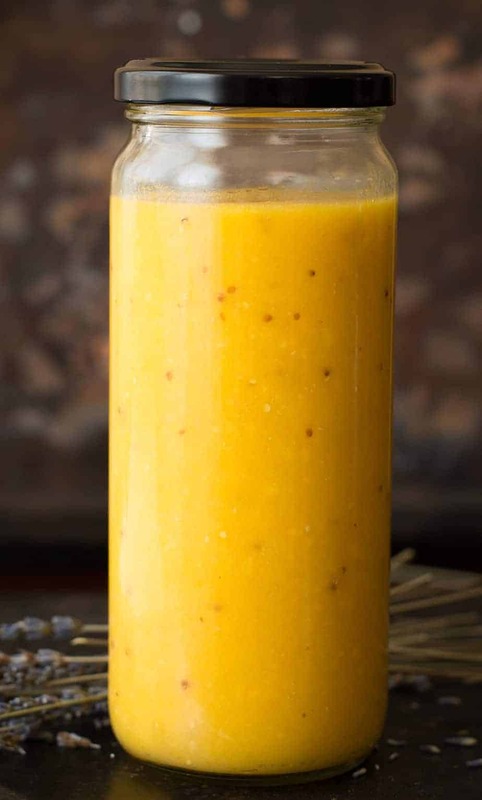 Also, don’t forget to check out one of our most popular recipes: Thai Salad Dressing. Mix all the ingredients in a mixing bowl. Serve with homemade salad dressing. 3-4 teaspoons agave nectar (about 2 tablespoons sugar or honey). Add more according to your liking. Mix all of the ingredients in a mixing bowl until well blended. Use immediately or store in the fridge for up to 3 days. Pound the chicken with a mallet or heavy skillet until about 1/8 inch thick. Brush the chicken lightly with oil and season with salt and pepper. Grill the chicken until golden and crisp, 3 to 4 minutes per side. I love this salad. I was reading through the ingredients and it sure looks yummy. Left over grilled chicken can be chopped and added into a new delightful dish like this. Thanks for sharing the recipe. The dressing sounds good too. I know I’ll love this salad! During the spring and summer, I like to eat lighter fare like salads. I’m a cabbage lover and your salad looks delicious! We love asian inspired foods in our house. This salad sounds like an awesome summer lunch! I just love a great chopped salad. That sesame ginger dressing sounds absolutely perfect for summertime as well! Summertime is salad time around my house. Always on the look out for a great salad and this Asian salad looks looks fresh and delicious. I would have to leave the peanuts out unfortunately because of some allergies in family members. Ooo this salad looks so delicious. I have a feeling I’d love it. Plus I adore ginger, so that dressing would be perfect! Oh yum now this salad sounds absolutely amazing what a delicious medley of flavours and colours. Oooh, this is one of my favorite flavor profiles in a salad. I am definitely going to try this recipe. OMG this looks so delicious. I totally am looking for a new salad recipe and I totally NEED to make this! YUM! This looks delicious & the photos are amazing! I can’t wait to make this recipe! I am always looking for healthier recipes to try. This looks so delicious. I will have to get the ingredients I need to make some this weekend. I love healthy food! I love the fact that this salad is full of anti-oxidants. As I am trying on some good diet to keep me refreshed, as I am not able to go out for some jog and walk frequently, will surely try this. It looks tempting and is healthy, as you mentioned. Also it reminds me subway salad, I am crazy for those. I’ve had a sesame ginger dressing before. It was extremely delicious. This one sounds just as yummy! That looks fantastic! I have been looking for new salad ideas for lunch. I’m making this! That salad looks so delicious and so healthy too. I love the addition of peanuts for some texture. The colours of the ingredients make it look so appetizing.